ok this thread is to help anyone who is about to install a walbro intank pump or wants a ruff idea on how hard it is to modify to fit one i used a walbro gss342. 1: avoid using heat near anything as petrol or petrol vapours dnt mix with heat. 2: dnt leave un exposed wires as this sits in the petrol tank and dnt want any kind of spark also i didnt like the idea of live wires in petrol but this is how it is from factory and was told to run pump wires how i set it up. 3: only use hose that is rated for fuel wen replacing hoses as some types of other hose may not be up to job and will fall apart and fail wen u dnt want them to. 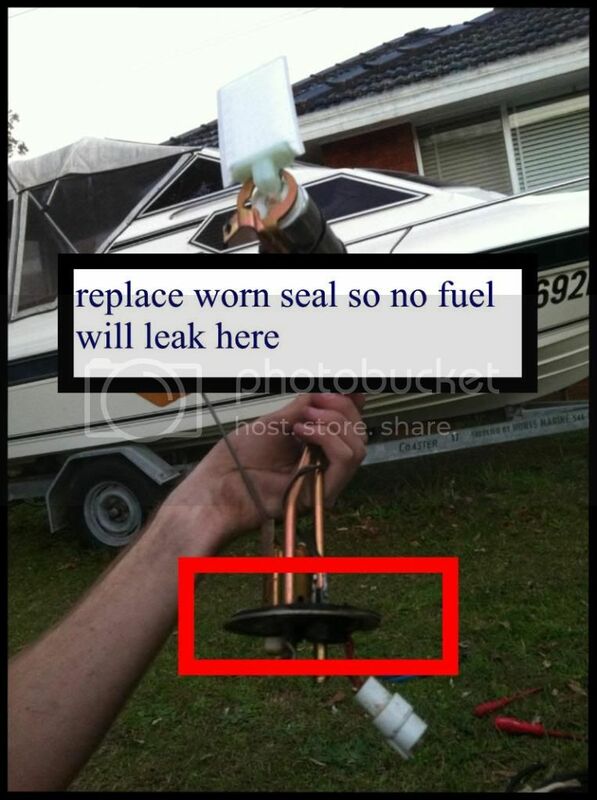 firstly you have to remove fuel tank as you will want to replace any fuel lines that have disintegrated as mine were. 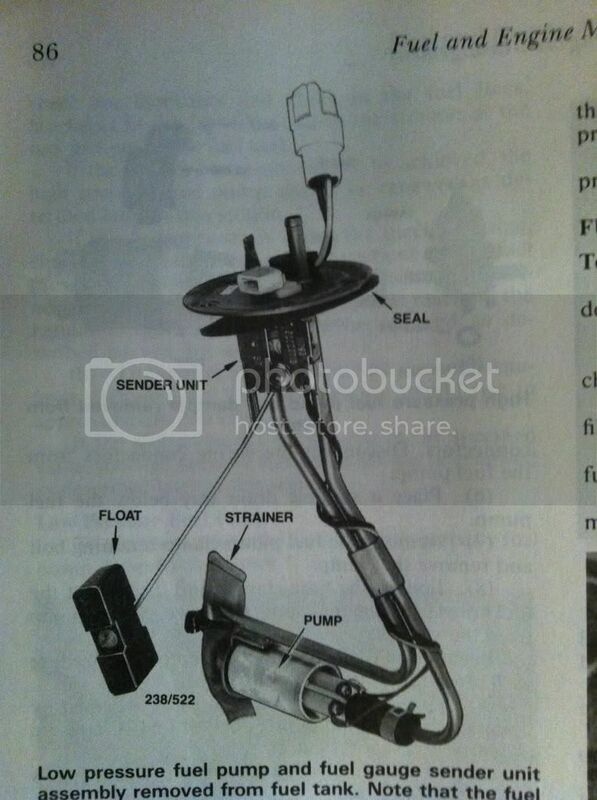 1: I recommend reading the vl handbook to remove fuel tank. 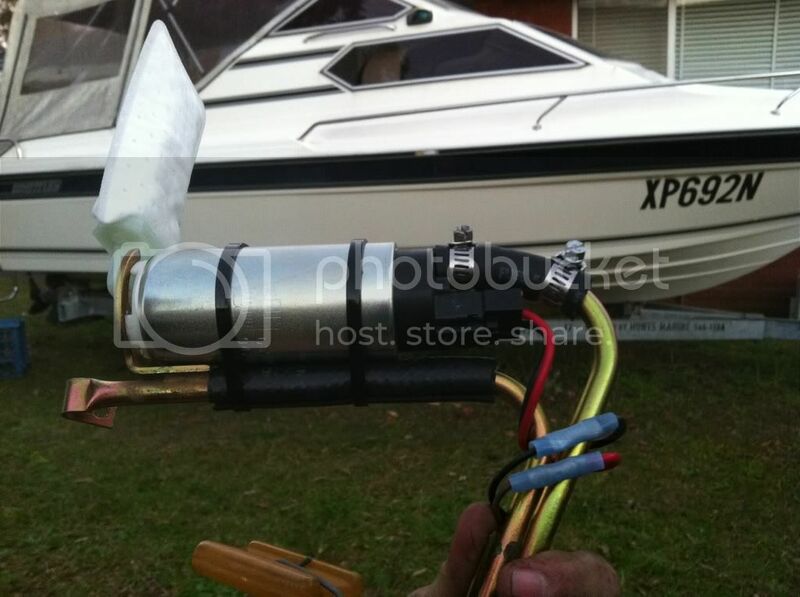 or if u dont want to de-pressurise fuel system by removing fuel pump relay till car stalls. 2: disconnect negative battery terminal. 3: raise rear of vehicle and place on chassis stands. 4: drain any fuel from fuel tank using a siphon. 6: take rear right wheel off and remove stone guard and disconnect any hoses u find. 7: support fuel tank and remove bolts connected to straps and then remove straps them self. 8: lower fuel tank slightly then somehow remove the filler cap grommet (i pushed it out from inside) then lower fuel tank more and poke filler tube through body and disconnect fuel lines on top of fuel tank. 9: lower the fuel tank to floor ( 2 people will make this easier as i did it by myself). 10: clean tank if u feel up to it but make sure seal off or fuel lines going into petrol tank as u DNT want water inside the tank. 1: disconnect wiring if u haven't already done. 2: undo 5 bolts which are located on the gold plated sender unit. 3: manoeuvre the sender unit and intank fuel pump out remembering the way it sits installed. 4: once you have the sender unit in your hands remove the strainer from the pump pick up, also cut the black and red wires so u still have enough wires to attach to new wiring harness and then old intank pump should just pull out of position. 1: remove walbro from packaging and attach filter as direction provided with new pump. 2: sit walbro ruffly how picture shows and mark 2 lines where u will need to cut to allow filter to side into place. 3: next cut gold pipe where the fuel hose connects to the top of the pump so the new pump will fit nicely as shown below. 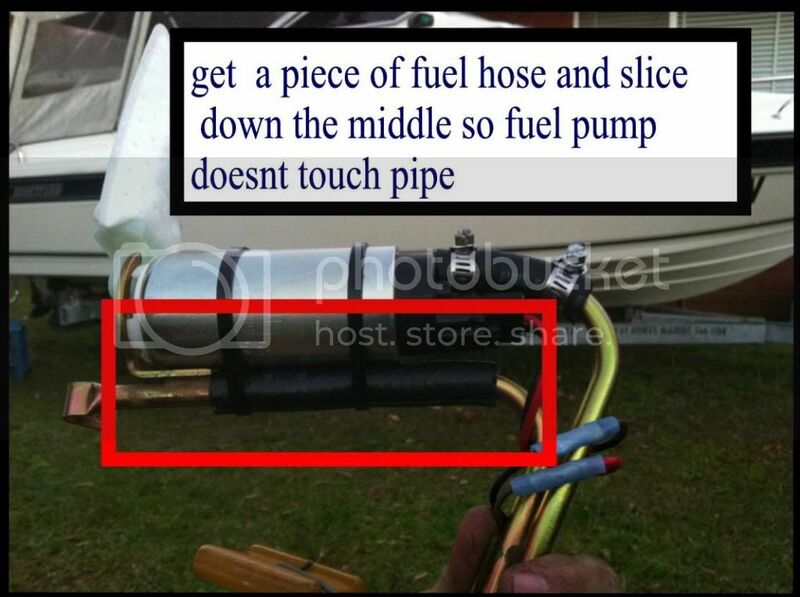 4: get a piece of fuel hose ans slice up the middle and fit as shown below to stop metal casing touching gold pipe. dnt want gold pipe to touch metal casing at all! 5: cut wires to size and then strip and connect together using connectors included with pump, then connect plug. 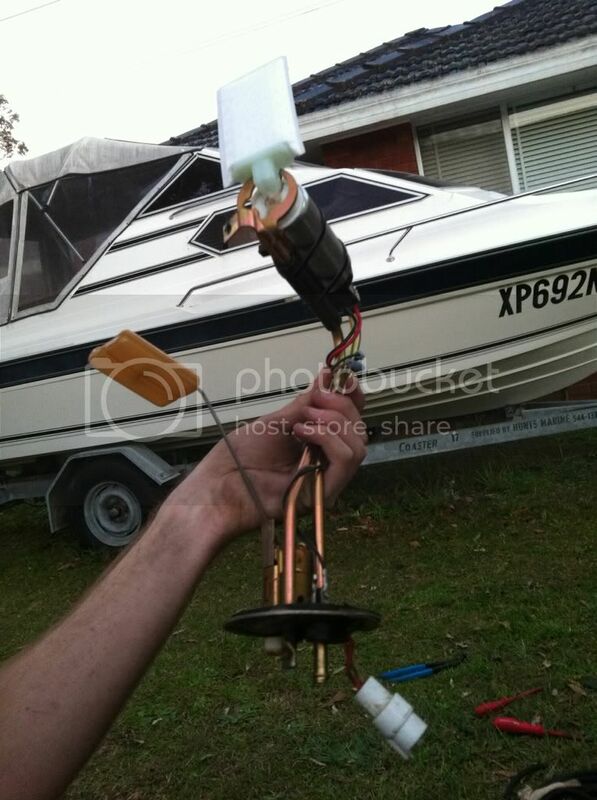 2:then re-install fuel tank which is reversal to removal, and plug all wires back in. this is the process i used, hopes this helps anyone about to do it although it really isn't difficult and leave your self a good day just to be sure u complete it. If i've left anything out please feel free to add to this. Last edited by ledouche; 27-06-11 at 19:14.
just keep in mind if you buy the pumps over 6bar you may find the injectors will start to leak with the extra pressure in them. an adjustable reg is one way out, the other a new fuel rail and injectors, a tune, a bigger turbo, some headwork, new valve springs, new cam etc... it all starts with a leak. Last edited by ledouche; 26-06-11 at 23:32. I wondered the same with Zipties... in petrol over time??? not sure if they would "melt" or not. I used metal hose clamps instead. 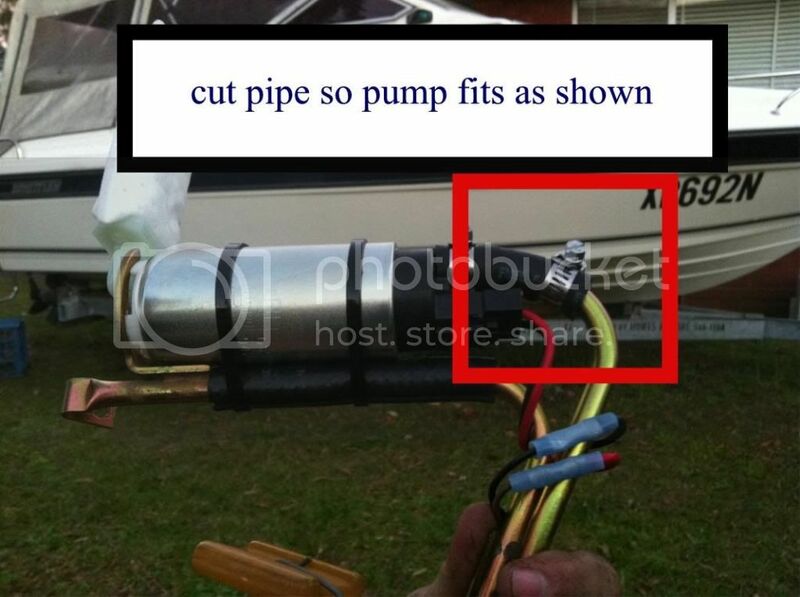 yeh good point but ive seen a few with zip ties so figured they would be fine have to look into it and might change it to hose clamps to be safe. 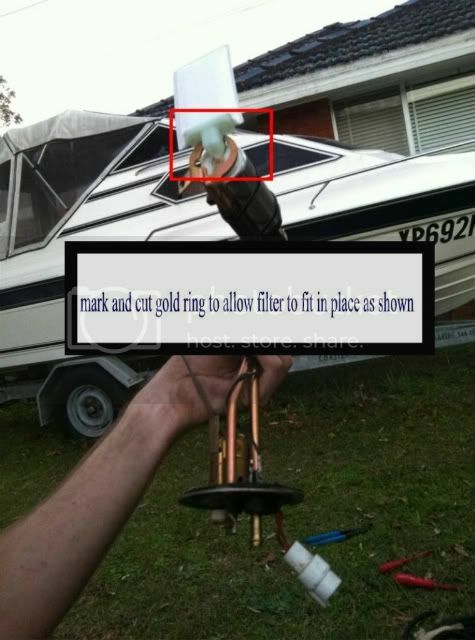 cheers insane vl edited will change pic tomoz as well im gonna go for metal hose clamps good idea. Last edited by ledouche; 26-06-11 at 23:18. Yeah wouldnt recommend using zip ties, if anything just use stainless lockwire. anyone know what amps the walbro 255hp draws in regard to the stock pump. would any of the wiring need upgrading, like what most people do when they fit an 044 pump. When I got my walbro it came with a rubber sleeve which goes over the pump (so didn't need to put a piece of hose over the pipe as in the 3rd pic). It also came with zip ties for mounting, although a friend of mine gave me a couple of fatter ones to put around it and he said they would be fine sitting in petrol. Considering the pump also came with a pre-wired plug, I just extended these wires and put new spades on them (at the end where they join to the flange of the pickup unit), and also used the same gauge wire from the white plug (external) to the new relays. Can't remember the current draw of the Walbro, but I've used the old fuel pump wires (black and purple) to switch 2 relays, 1 for my 044 with a 30Amp fuse, and 1 for my Walbro with a 15Amp fuse from memory. 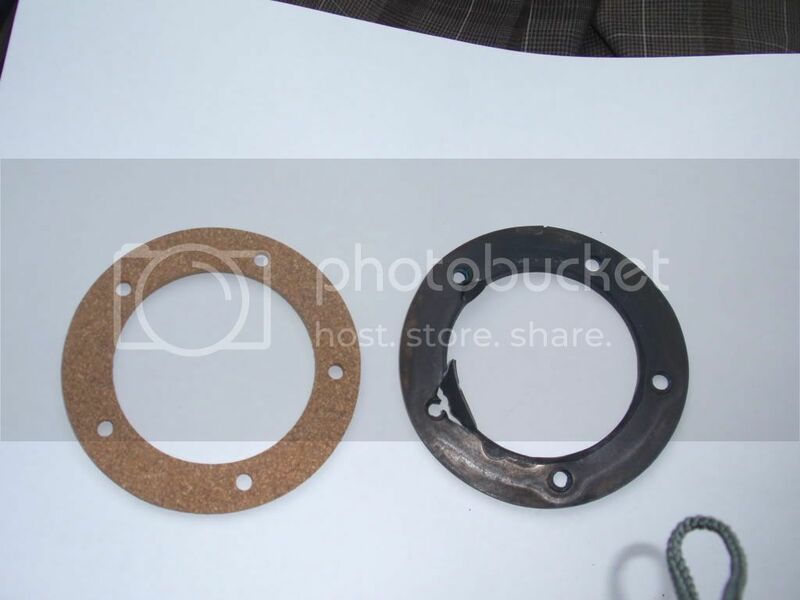 just curious as to what the point of using the rubber hose as insulation on the sender pipe is when the bottom of the pump is butted against the metal bracket which attaches to the sender pipe? Does anyone know the part number for the upgraded pump?